Since being diagnosed at around this time, my life has been filled with its mixture of ups and downs. Along with approximately 3.5 million other people across the United States, living on the autism spectrum can carry its varied weight of emotions ranging from anger, happiness, depression, anxiety and confusion. The reason I am disclosing my story on the spectrum is because of the many rising misconceptions about autism, especially given the fact that a couple of recent mass shootings were caused by those who were confirmed on the autism spectrum. So, in recognition of Autism Awareness Month, I wanted to set the record straight. Asperger’s syndrome is a developmental disorder on the autism spectrum characterized by impaired social interaction, repetitive patterns of behavior and restricted interests, normal language and cognitive development, and often gifted performance in narrow fields of interest. It’s safe to assume that Asperger’s took control of my entire world in those early years. My symptoms were very apparent at that time, particularly around other children my age. Awkward social skills, being easily frustrated, and delayed mental processing hampered my ability to communicate with other children, as it was difficult for them to fully understand what I was going through. Dealing with the social complications of bullying and loneliness was also another matter that I constantly struggled with. In addition to this list of symptoms, I dealt with the several nervous ticks and behaviors that were commonly associated with the condition. For instance, whenever I would either get irritable or upset over something, I would bang my head against the wall in frustration. Believe it or not, this was a regular incident for me. Almost 20 years later, it was not until recently that I realized the significant impact this condition has had on not only my life, but the lives of my family as well. The retold stories of my early years seem almost comical to me now, but in reality, growing up feeling different from others and not understanding why was often stressful for me, and challenging for my three siblings. One instance included when one of my older sisters told a story about the time she received detention in fourth grade for defending me after I shared with her how happy I was that my friend in first grade had offered to share his lunch with me – a “knuckle sandwich.” This form of family support was a frequent occurrence when my early eccentricities were met with ridicule or skepticism. Having the unusual ability to recall extensive lists or patterns and to memorize the dialogue to an entire “Star Wars” movie at the age of four was considered by my peers to be weird or pointless. The underlying truth is that autism truly affects each person differently. Despite the problems that I dealt with growing up, I would still consider myself on the higher end of the spectrum. In addition, I was thankful to have a stable support system of family and friends that helped me develop along the way. Numerous other children growing up had to struggle with less fortunate circumstances, and some of them resulted into violent consequences. Various mass shooters over the years were classified under the autism spectrum, such as Martin Bryant (28-year-old with Asperger’s that killed 35 people and injured 23 others in one of the world's deadliest mass shootings during the Port Arthur massacre in 1996), Seung-Hui Cho (autistic college student that murdered 32 people and wounded 17 others during the 2007 mass shooting on the campus of Virginia Tech in 2007), Adam Lanza (20-year-old with Asperger’s that fatally shot 20 children and six adult faculty members at Sandy Hook Elementary School in 2012) and Nikolas Cruz (19-year-old with autism that killed 17 people and shot 17 others at Marjory Stoneman Douglas High School during this past February in Parkland, Florida). These saddening headlines have stolen the spotlight away from the many other harmless individuals diagnosed on the spectrum, and has created negatively damaging prejudices towards those who feel isolated enough as it is. In the following weeks after the Sandy Hook tragedy, phone calls to Autism Speaks drastically increased by 130 percent as parents of autistic children were fearful over the potential discrimination or seclusion that their kids would have to endure through due to the shootings. I feel the need to reiterate that countless people on the spectrum are brillant, creative, and affectionate human beings - not murderers. If a child or adult with autism appears to be emotionally distant, this isn’t because they don’t have feelings or don’t care about the well-being of others, it is simply because they don’t know how to express those emotions. From someone that has spent years trying to become more sociable, trust me there’s a difference. “We know that speculation and misinformation about autism and other neurodevelopmental disabilities have hurtful and lasting consequences." While these have been unfortunate cases, they do not accurately portray the majority of people that have been diagnosed with autism. 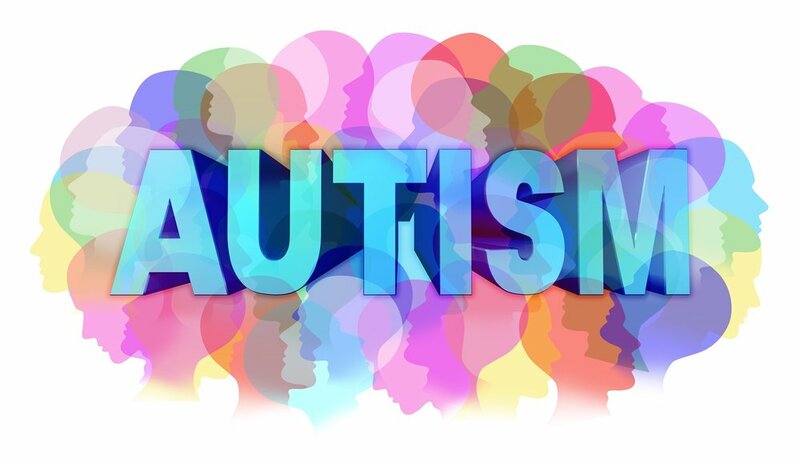 Many influential historical figures like Wolfgang Amadeus Mozart, Abraham Lincoln, Mark Twain, Albert Einstein, Howard Hughes and Andy Warhol have been speculated to have association with the autism spectrum. However, several modern celebrities such as Susan Boyle, Darryl Hannah, Dan Aykroyd, Heather Kuzmich, Dan Harmon, Alexis Wineman and Anthony Hopkins have all coped with the effects of Asperger’s syndrome, and have all overcame them in one way or the other. Wineman established herself in 2013 as the first Miss America contestant with autism to participate in the pageant and has become a proud advocate for autism awareness. Grandin’s public stance on spreading autism awareness has accomplished wonders for the improvement of autism treatment for both children and adults on the spectrum, including myself. “Autism is an important part of who I am, and I wouldn’t want to change it, because I like the way I think," Grandin said. Personally, I am grateful that from the moment I was diagnosed, my family, teachers and specialists spent tireless hours with me in counseling, tutoring and other interventional therapies. Consequently, as a young adult, I have learned to use these differences to my advantage on numerous occasions. This experience has given me a unique perspective on the meaning of family values. Moreover, a condition that my family and I once viewed as an obstacle, we now consider a precious gift, for it is through this adversity that we have all grown to be appreciative and compassionate for those who face physical, emotional or developmental challenges. The only way to overturn the misconceptions around autism is for the people who have defied the odds by challenging against the stereotype to step forward and advocate for autism awareness. So, on that note, I just have one more thing to say. I’m autistic, and proud to admit it. Will Lamar Jackson Be A Successful Quarterback In The NFL?